When reflecting on my 20 years as the Founder and Chairman of the Global Group, a venture capital, investment and strategic consultancy firm, there is no doubt that giving back has made me a better businessman and given me a great deal of satisfaction. I established the company whilst still studying for my PhD in Psychiatry at the University of Cambridge and I’m proud to say that this year we’ve celebrated our 20th anniversary. When I contemplated my career path, I was not always set on entering the world of business, and ensuring that philanthropy and social responsibility remains at the core of the Global Group bolsters my sense of purpose and motivates me to work even harder. My academic background is in medical science, and I originally leaned towards pursuing this as my career after attending Uppingham School, King’s College, London and finally Hughes Hall, Cambridge. While working on my thesis, which focused on a genetic link between Down syndrome and dementia, I came to realise that the most effective way to help more people would be as a successful businessman, rather than a doctor or scientist, as I would be able to commit far greater resources to causes close to my heart. I am now involved in a wide range of philanthropic activities and causes around the world, but one that I am particularly passionate about is the Duke of Edinburgh Award. I am honoured to say I am the first ever Diamond Benefactor of the world’s greatest youth achievement scheme. One of the main things that drew me to the scheme is the way in which it supports the development of a young person’s life skills, resilience and education. In my role of Diamond Benefactor, I am responsible for growing the DofE scheme throughout the Asia-Pacific region, and I particularly work to encourage its growing popularity in China. Developing the DofE programme in China is especially significant at a time when the government there is encouraging mass entrepreneurship. Young people can complement what they learn in the classroom with key enterprise, leadership and teamwork skills – things that are vital for doing well in a business environment. The scheme does a fantastic job of encouraging a type of education that knows no language, national, class or cultural barriers. In the future, I have no doubt that we will see the positive impact of this holistic, global learning style on Sino-British relations and this really chimes with my company’s ethos – our motto is ‘Bridging the New Frontiers,’ which means, above all, lessening the gap between East and West. My interest in supporting education doesn’t stop there, as in 2007, I established the Johnny Hon Peking University Scholarships at my old college of Hughes Hall. I also established the Johnny Hon China Scholarship for International Relations at Oxford University in 2006, as part of the China Oxford Scholarship Fund. I feel very fortunate when I look back on my education and the opportunities it provided me – it’s where I first networked for Global Group investors – and I want to provide others with the same chances I have had by helping them to study at these prestigious institutions. Aside from education, I am also passionate about supporting the arts and entertainment industries. One of my first major forays into this sector was in 2005, when I sponsored the first London production of the China National Beijing Opera Company at the world-renowned Sadler’s Wells theatre. It was particularly rewarding to be able to help raise awareness of Chinese culture in the UK, thereby bringing my two homes closer together. Another way in which I have been able to support the arts, and specifically theatre, is through Gate Ventures, a company where I am the Executive Chairman. Whilst this is not philanthropy in its strictest sense, I love to invest in classic musicals, reviving them so that they can be enjoyed to their full potential by new generations. One such example is the recent West End revival of 42nd Street – and it brings me great joy to know that I have had a key part in bringing this legendary musical back to the London stage. Taking time out to focus on my other interests, such as philanthropy and the arts, gives me a great opportunity to take a step back from my busy corporate life and invest time in helping others. It is the perfect opportunity to use what I have gained through my business to give back to society. There is no better feeling than knowing that I am using my platform as a business leader to make a difference to people, in areas that I am passionate about. 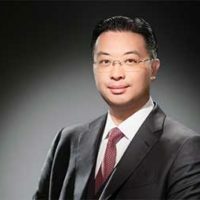 In twenty years, Dr. Johnny Hon has built up the Global Group of Companies, an international conglomerate, with diverse interests ranging over banking, property development, financial services, education, media, entertainment and leisure, sports, gaming, telecoms, mining and biotechnology.